Joseph Ernest Savill was born on 16th April 1911 and joined the RAFVR in December 1937 as an Airman u/t Pilot. Called up on 1st September 1939, he completed his training and was serving with 151 Squadron at North Weald by 8th November 1939. 501 Squadron – Savill destroyed a Do17 on 13th August 1940. He was posted to 242 Squadron at Coltishall on 21st September, moved to 73 Squadron at Castle Camps on 10th October and finally to 501 Squadron at Kenley on the 17th. 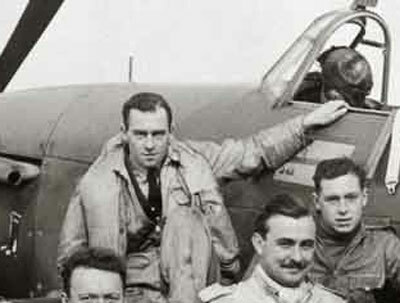 Savill rejoined 73 Squadron on 26th October and was posted to 213 Squadron at Tangmere on 3rd November 1940. Savill was promoted to Warrant Officer on 1st October 1941. His subsequent service is currently undocumented but it is known that he survived the war and died on 6th June 1991.